Is the Corn Lobby Poisoning Its Own Well? The National Corn Growers Association claims to represent 35,000 dues-paying corn farmers, but it openly aligns itself with the companies that sell them chemicals and buy their crops. The sponsors for its annual Commodity Classic event read like the league table of the handful of companies that dominate the global agribusiness trade: Monsanto, Syngenta, Dow, Bayer Cropscience, Dupont, and Archer Daniels Midland. The National Corn Growers Association reminds farmers and their allies to submit comments opposing a petition filed with the Environmental Protection Agency that would ban atrazine use and production before the public comment period closes on November 14. The particular petition that drew NCGA’s ire involves atrazine effects on frogs. According to a damning weight of evidence, the herbicide causes all manner of sexual and immune-system trouble in frogs, including “chemical castration” of males. But it doesn’t shock me that a big of large-scale corn growers would step on frogs to defend a beloved herbicide. 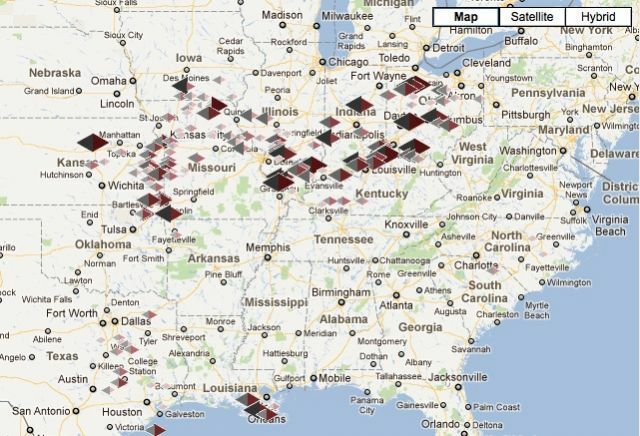 What gets me is their willingness to ignore mounting evidence that atrazine causes cancer in people—people who live in the very areas where people grow corn and apply atrazine. According to a Natural Resources Defense Council (NRDC) analysis, atrazine turns up in 80 percent of samples drawn from drinking-water systems in the Midwest. While levels are typically below the EPA’s limit of 3 parts per billion, atrazine concentrations routinely spike to many times that level during peak summer application times. And as I reported Monday, an independent scientific panel convened by the EPA noted “strong” epidemiological evidence linking atrazine to certain cancers. 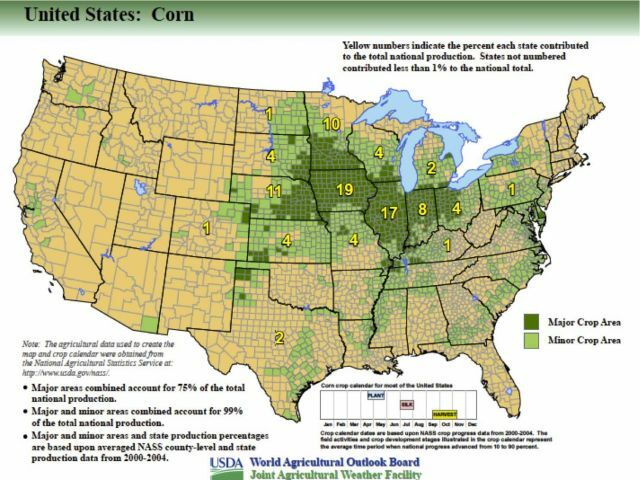 Here’s the USDA’s map of the US corn crop. The National Corn Growers are rallying farmers to foul their own water supply—and that of people in the Mississippi Delta, where atrazine accumulates after running off from farm fields.